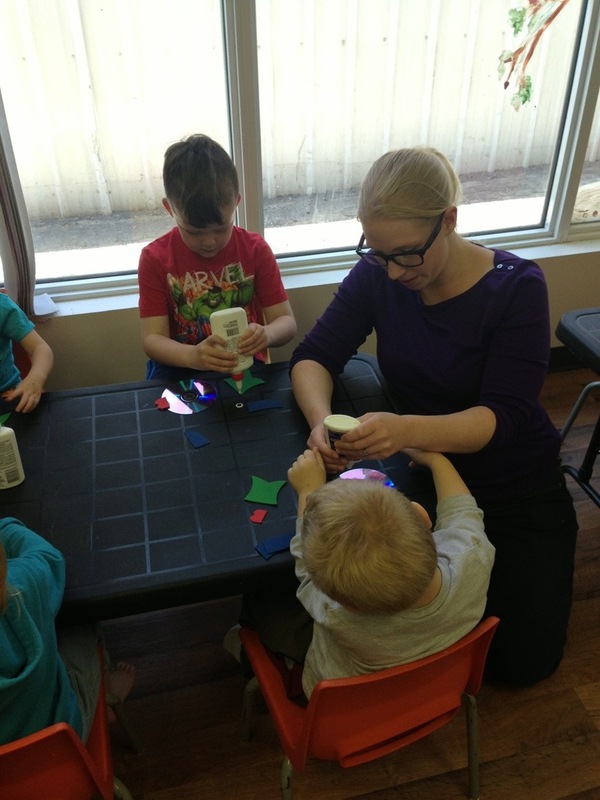 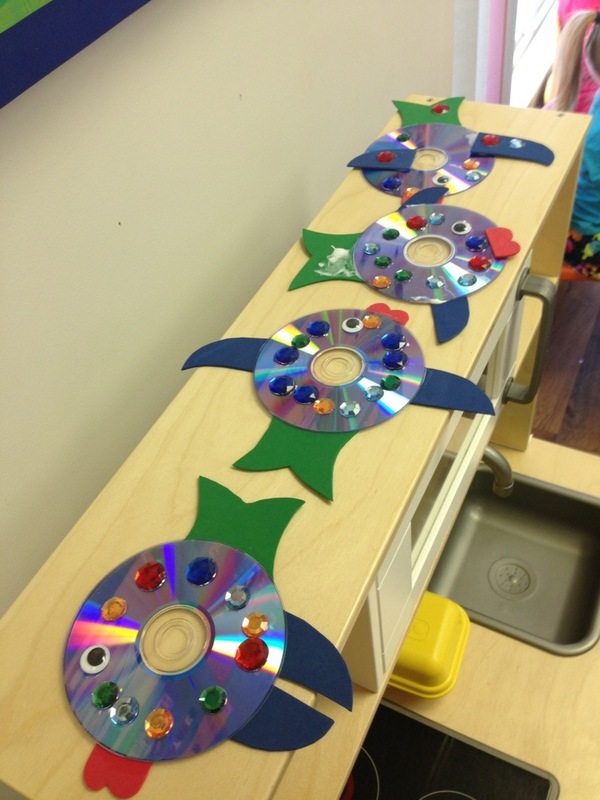 Today at playroom we made some really cute fish. 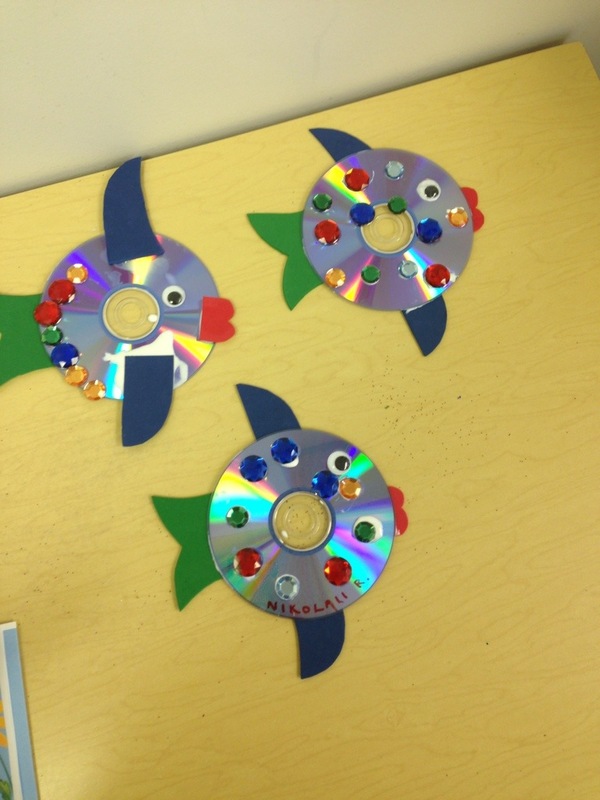 We added stick on jewels and fins to a CD. 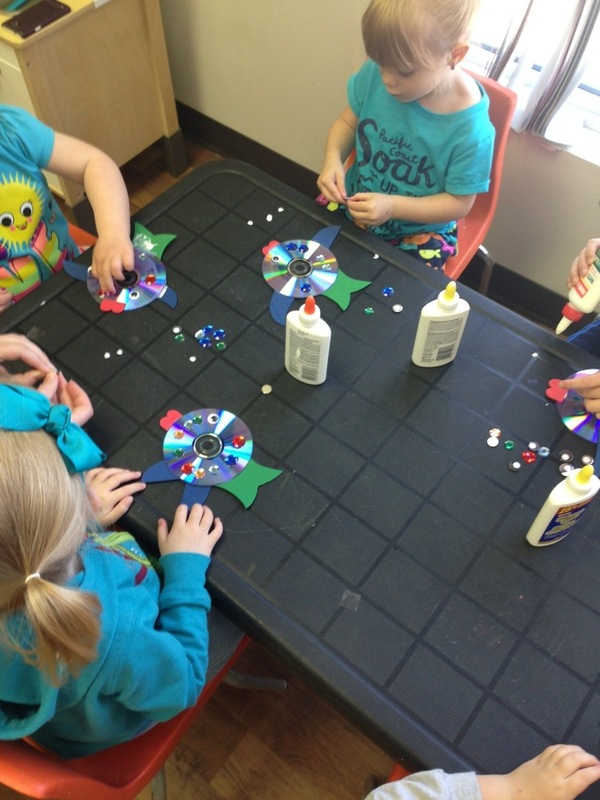 I had everything pre-cut but if older kids wanted to do this craft, they could cut them out themselves. 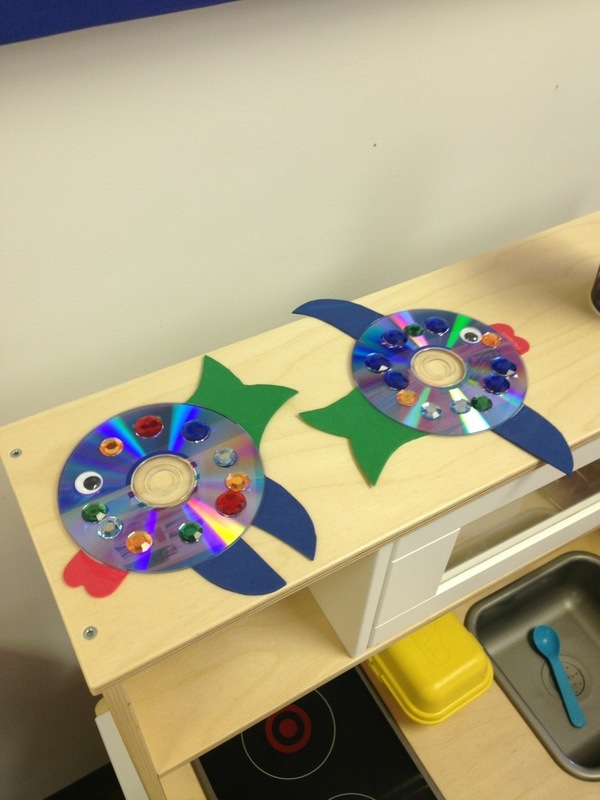 We used foam for the fins and mouth but construction paper would work too.